2007 was the year I started to Save Hard and Invest Wisely for Early Retirement. While today this is a mature strategy (with some 364 posts on this site reflecting that) back then I was an amateur who was reading continuously and running so many Excel simulations that I’m sure at one point I saw smoke rising from my computer. As it was a year of transition and my financial record keeping was quite sketchy it’s quite difficult for me to say exactly when I started really following the strategy. 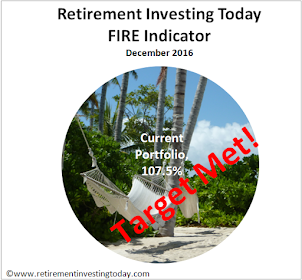 I do know that 2008 was the year where the strategy that you see today really matured and I also know that the 5th anniversary of RetirementInvestingToday.com will occur next month. What however I don’t know is when I really “officially” started living most of the principles that are today mature. What I do know is that by August 2007 I was already saving large chunks of money while spending little however throughout that month I was also still talking to Independent Financial Advisor’s, IFA’s, who at the time I thought were the secret to success but today firmly believe are not (at least for me, they may be for some). I also know that it took me until the end of November 2007 to finally sell some funds that were charging me up to 1.78% in fund expenses per annum. So the “real” Retirement Investing Today anniversary is probably somewhere between September and November. Given we’re between those 2 dates today I’m going to call October 2007 the date when my journey really began. October 2014 therefore represents the 7 year anniversary of my journey to financial independence and optional Early Retirement. The question then becomes has 7 years of practice made perfect? Well to answer that question I’ve just spent a couple of hours sorting through sketchy old records (this bit wasn’t by choice but rather my better half ‘encouraging’ me to participate in a very late spring clean) which really do make for interesting reading. Comparing my 2007 salary to what I will achieve for 2014 and it has increased by 128%. The average punter on the street in contrast has seen a pay increase of 12%. For me this has come from a relentless focus on delivering more and more efficiently, being prepared to commute and travel extensively, staying flexible and ensuring I do everything to stay in the top 10% of my peer group while keeping my eyes open for partially open doors. While on paper this looks to have been very successful as I sit here writing this post all I can say is that today this is now starting to become a little wearing and I am currently exhausted. I really am at a cross roads. Option 1 is stay at it and financial independence beckons in 2 years. Option 2 is to acknowledge I’ve broken the back of my journey to financial independence (FI), take my foot off the gas a little, accept FI will take a few months longer and let compound interest do a little more of the work that will carry me over the line. It’s option 1 for now as I refuse to make rash decisions but option 2 is looking more and more attractive every day. My forecast spending for 2014 shows me actually spending 5% more than I did in 2007. I was surprised this wasn’t actually a negative number but I do know that renting in London does cost me a lot more than it did in 2007 and I also know that in September my rent was 48% of my total spending. In contrast RPI inflation has been 24% so assuming my spending was in line with RPI I have least decreased spending in real terms. In October 2014 39% of my wealth was tax efficiently invested and today that is 69%. This includes a company Defined Contribution Pension, a SIPP, a NISA and NS&I Index Linked Savings Certificates (will we ever see these again?). Unfortunately I haven’t been able to piece together fund and wrapper expense data for any part of 2007. What I can say though is that by February 2008 these were down to 0.63% where today they sit at 0.31%. Over a little less than 7 years I’ve halved my expenses. 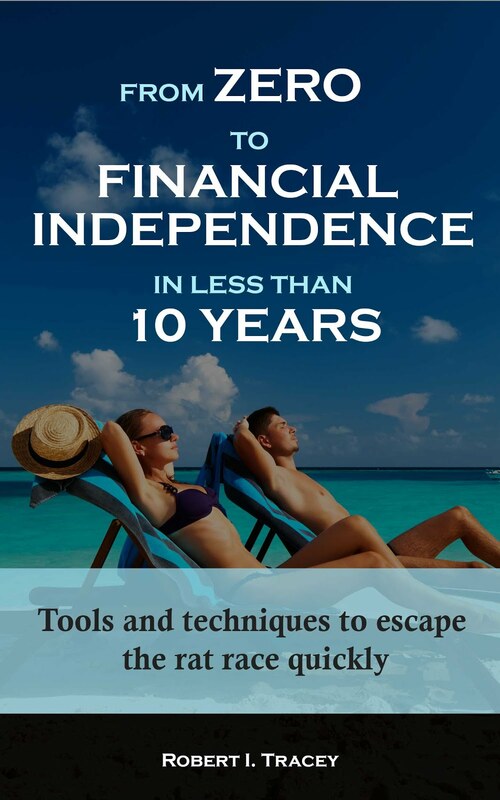 At the start of 2007, having already worked 11 years, I had 13% of the wealth that I now believe I will need for financial independence. I really was nowhere and was going to be working for a long long time. Today that number is 75%. Financial Independence day rapidly approaches. So does practice makes perfect? Perfect is a very strong word but looking back I will say that practice certainly does make you better. UK Earnings data is the ONS KAB9 dataset comparing August 2007 with August 2014. UK Inflation data is the ONS RPI CHAW dataset comparing September 2007 with September 2014. To which country do you expect to retire? At this point it's Italy or Malta. The better half favours Italy and I favour Malta. I just love the place, particularly the history. The 3rd link in this post gives a bit more detail. Very interesting post, great to see how you've done since 2007. I hope to be logging such (good) differences in 7 years time, although the 128% salary increase will be highly unlikely! Never say never. 7 years ago I also would never have dreamed that it would have increased by that amount. It's for exactly this reason that I think even punters on basic rate tax should be investing within NISA wrappers. You just never know when you'll be a higher rate payer. It also makes tax time simpler if you've been doing any selling for rebalancing purposes. Thanks for the post, as always RIT. Although anonymous, I admire your candidness. Do you have any children? I would guess not, given how hard you are choosing to work and your easy discussion of emigration. Unless you hate your job or location, why not choose option 2? You have already said that you will want to keep busy in retirement. If you ease off a bit now then you keep busy and maybe take some time to enjoy. It completely depends on your job, of course, but it sounds like you have some flexibility. What really makes you so keen to retire? Is it working for someone else you don't like, or maybe your working conditions or the things you have to do (you're not in marketing are you :) )? Or do you just want to retire because you would love to be in the position of knowing that you no longer need to work? If the latter then the flip side is that once retired you will have an income that you no longer have much control over (today you have control over most of your income as only a small % comes from your investments). One thing you may be giving up after a few years of retirement is the option to get back into the workplace, and that may become a concern once you are there. Thanks for the very thoughtful and thought provoking comment Jim. In my current role I think option 2 would be very difficult as I am now being paid what I am because of my "high performance". I might be able to negotiate less for less but I think it would be unlikely. Therefore to switch to option 2 would likely mean a job change. If I was then taking a lower salary in a new role I'd also then sort out my monster commute. Adding the 2 together would make a big difference to my work life balance. It really is a jam today or jam tomorrow question though. My reasons for retirement have changed since I've been on this journey. Today having now been in the same industry for nearly 20 years I'm at a point where something new would be liberating. My current thinking was I can change now and retrain but this would mean I would have to consider salary in my next career choice. I would also have to build that salary up again over many years. Alternatively I can get to FI and then I can retrain without any consideration for money. This then opens up a further world of opportunities. It is also the most efficient way from a wealth perspective but the counter argument is you're also a long time dead. Additionally one of the original reasons, which is still very current, is that it simply gives me options. Get made redundant and it just doesn't matter where under my old pre RIT.com life I would have had to be getting a new one quickly, even if not ideal, if food was going to be put on the table in a few months time. It's an interesting point you make about losing control of income and not being able to get back into the workplace. This is where I have done quite a bit of research and feel pretty comfortable with a starting withdrawal rate of 2.5% of assets. Historically it has never failed. If I can then get dividends to 3% of net worth (currently 2.6%) by retirement then I should be able to live off dividends while reinvesting 0.5% as a continual rebalancing measure. Many thanks for your answer, RIT. Just think what our society could do if half the population were as sensible! The 6month trial time is a very good idea. Interesting article I stumbled across - the comments at the bottom are probably the most useful. However, I suspect you are already clued up on these things. All the best. Thanks for the link. Not for a second am I suggesting that Italy is a perfect Nirvana. As with anywhere it is a country with many negatives but also many positives. It is however a country where for my family the positives at this time outweigh the negatives by some margin. Of course I've never 'really lived there' so that opinion might change after months and years of residence rather than my current experience of a few weeks at a time. Interesting that the article didn't mention Italian bureaucracy. The Italians are certainly masters of that. There are eight ways of saying "some" in Italian. Seems to me you have made huge steps towards your goal of FI in just a few short years. My concern would be the efforts and sacrifices you have made to get to this stage - long commutes, heavy workload, more responsibilities etc may be building uncomfortable levels of stress which can be detrimental to mental/physical wellbeing over a prolonged period. Maybe time to take a little time out to reflect and re-evaluate possibly? Financial independence is important but equally (if not more so) health and well-being to make the most of life. You will probably stick to option 1 but taking the longer, less stressful option may be worth careful consideration? Good luck with the journey and with whatever option feels right! If you could find a job that you actually enjoyed, with less stress and shorter hours, just a short bike ride from your house, would you take it? If not, why not?